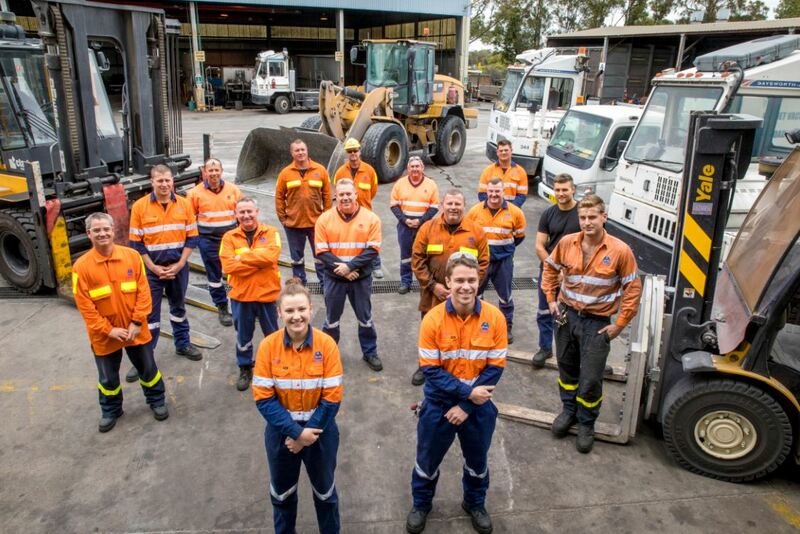 RET renders Australia’s mineral processors a critically endangered species. An obsession with renewables sent power prices into orbit, destroying thousands of manufacturing jobs. Farmers irrigating crops and vines and milking cows, aquaculture outfits rearing abalone and finfish, mineral processors and miners are next. The relationship between having reliable and affordable electricity and sustaining profitable enterprise is entirely lost on Labor and the Greens. Although, among their number, there are plenty who would merrily destroy capitalism in a heartbeat, given the chance. On the notionally conservative side, the Liberals are divided between bed-wetters, who presume that voters are ready to destroy their country from within and a handful of sensible souls, like Craig Kelly, ready to die in a ditch to deliver meaningful employment to Australians, by way of the reliable and affordable energy, business depends on. A timely blast from former Deputy PM, Barnaby Joyce (a National) – demanding the Coalition get behind coal-fired power plants – raised the prospect of real and sensible debate about how this country might extract itself from its self-inflicted renewable energy calamity. Another National, former Queensland Senator, Ron Boswell also chimed in with this well-crafted and well-timed op-ed. In his memoir Lazarus Rising, former prime minister John Howard wrote that all political parties are coalitions in one form or another and the key challenge is keeping all of those elements together. In Howard’s view, the essential ingredient was a mutual willingness to give and take. Howard wrote that “the key to my success was my recognition that in return for National Party acceptance on broad policy issues that Liberal Party attitudes would hold sway, the Nationals would win acceptance of their point of view on matters especially important to their own followers”. That’s how the Coalition worked for most of my 30 years as a National in the Senate and since I retired in 2014. And I am sure that’s how Scott Morrison believes it should work. The National Party wants to continue to be part of a successful and sustainable Coalition, provided it is not a one-sided transaction. Which brings us to energy policy. It is fair to say that low-cost, ­reliable energy is especially important to regional Australia. High energy costs can cripple food manufacturing operations such as abattoirs, milk processing and processed food plants. Energy-intensive manufacturing is the lifeblood of regional cities and towns and is critical to their viability and the living standards of their residents. Take the Queensland Alumina plant in Gladstone in central Queensland. It not only provides 1100 jobs but also provides business for 354 small and medium sized local enterprises. But alumina smelters can’t run on wind and solar power. And the Snowy Hydro is several years and 1600km away. The Australian Competition & Consumer Commission last year identified there were too few electricity producers producing too little baseload energy. More supply from more providers was its recommended solution. The ACCC proposed a new underwriting approach involving long-term, fixed-price energy offtake agreements for appropriate baseload generation projects. On July 11 last year, prime minister Malcolm Turnbull said the ACCC recommendation “has the distinct advantage of being thoroughly technology agnostic and, well-designed, should serve our goal of cheaper and reliable energy”. He said projects to be supported “could be a mix of assets, it could be some renewable, some gas and some hydro. It could be a coal-fired project. It could be gas. It could be biomass or a mixture of all of the above”. Suddenly it seems that technology-neutral policy is at risk of evolving into an “anything but coal or gas” approach. The ABC has embraced this approach with enthusiasm. And apparently there are some Liberals in the Coalition who feel a genuinely technology-neutral approach might be unpopular in inner-city Melbourne and Sydney. (As an aside, I note that at 8am on Wednesday this week coal was providing 97 per cent of electricity to Sydneysiders and 76 per cent of power in Melbourne.) Teslas being charged in leafy Woollahra and Kew are being charged by coal. Any assistance provided to energy projects under the ACCC model will be an almost infinitesimally small fraction of that ­afforded to renewable energy over the past seven or eight years. The renewable energy target has delivered consumer-funded subsidies to wind and solar valued by the Australian Bureau of Statistics at $15 billion over seven years, which will grow to more than $20bn by next year. In addition, since 2012, the Clean Energy Finance Corporation and the Australian Renewable Energy Agency have dished out $7.2bn in grants and concessional finance to renewable projects and clean energy initiatives. And the Coalition has agreed to back Snowy 2.0 at a total cost, including acquisition costs, of more than $10bn. That’s more than $30bn in taxpayer and consumer-funded support for one energy source. While the National Party might have deep reservations about some of these policy settings, it has been prepared to support these measures as part of the broad Coalition compact. Importantly, an energy policy that includes new coal projects doesn’t amount to a rejection of the science of climate change. Upgrades of existing coal-fired power stations can reduce emissions at very low cost. New high-efficiency, low-emissions coal-fired power stations — whether in the Hunter Valley or central Queensland — can provide cheap, reliable energy with emissions savings of up to 40 per cent. An “anything but coal” energy policy would harm regional Australia. It would harm living standards because it will price energy-intensive food manufacturing and minerals processing out of global markets. Don’t forget that two-thirds of Australian exports are generated in the bush. In Coalition terms, an “anything but coal” approach would also mean that the spirit of compromise is not being reciprocated. It would mean that technology neutrality in theory was OK, but technology neutrality in practice is not allowed. And most importantly, it would be bad for Australia. And all Australians. 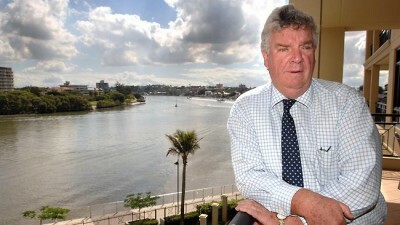 Ron Boswell is a former Nationals senator for Queensland and a former leader of the National Party in the Senate. Ron Boswell: dogged protector of endangered species. Someone with a bit more than a little commonsense. Its time those who continue to bow to a ‘renewable’s’ only energy production model need to stand back and take a good look at what they are proposing, they need to take an historical look at what has gone before and how far we have come in working towards a clean environment. It is not something that has emerged in the past decade it has been going on for many decades. Australia and other western countries have worked in many ways to ensure their citizens breath clean air. If changes had not been made over the decades then we would be living with smog events the size of those in China and India, but were not – we have been working towards cleaning our environments and we have been asked to reduce our energy usage by things such as the use of low energy white goods and energy intensive light globes which have been replaced with more reported to use less energy. Unfortunately the current push for ‘renewable’ energy production has been paralleled by the call for transition from fossil fuelled vehicles to ones run by battery’s. The use of mobile technology in the way of telephones and computers is quickly increasing our use of electricity. In the push to use batteries for such a lot of our energy needs something of a dilemma has arisen, which at present is unacknowledged by those fixated on ‘renewable’ energy production – they don’t consider how much mining of minerals used for their makeup is now leaving an environmental mess to deal with, how much of each battery is recyclable and how much will need to be buried in landfill or stored in some other manner? Neither have the accepted that Wind turbines and Solar Panels also use materials mined which also create environmental problems. I bet Ron Boswell will have more insight into this aspect than any of those Politicians and other ‘renewable’s’ at any cost manics. Hopefully Politicians and voters who believe the rhetoric of fools will waken before it’s too late and stop listening to the media hype and the fruitless yakking of those with tunnel vision and see beyond themselves and accept we have already come a long way and there’s a need now to take stock and understand ramifications of going along with the call for a ‘Bull in a china shop’ approach to how we produce our energy needs. If 52% of the country vote for the labor party then why stop the calamity that awaits Australia. There are many sayings out their about stupid people ( that definitely aren’t taught in our left wing propaganda schools any more) that the school children of the pre 1980’s were taught to help them improve their common sense and survive. If the majority of Australians don’t want any real jobs for themselves and their children and no electricity, water, sewerage, hospitals, cars, I Phones then why on earth would anybody try to explain to them what the obvious consequences will be. A third world living standard in Australia will be a real eye opener and a shock to the fools who vote for it. They say you only learn by your mistakes and for the post babyboomer generations they are about to get the biggest shock of their hungry, electricity less lives. Its just too practical. Not sure how much dan subsidises portlands alcoa when they shutdown on low wind days. But rest assured it goes on our power bills. Pity the city greens dont get shut off first. With smart meters quite easily done. The old tree huggers would have demanded this, unlike the modern day politicised greens. Who want no congestion subsidised green energy. Heat on cold day. Cool on hot days at flick of switch. And not their off switch.